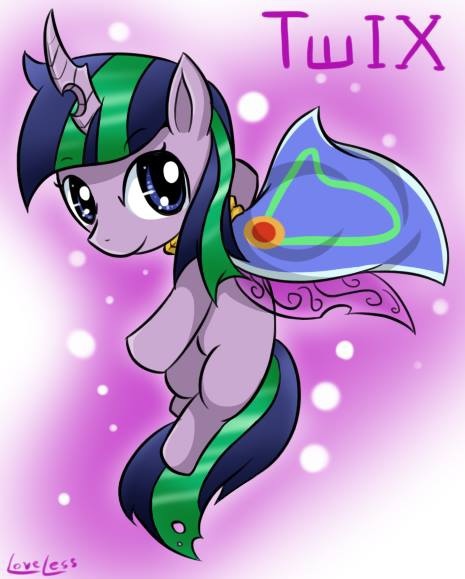 Twix, The daughter of Alicorn of Magic, The Great Magician of Saddle Arabia and Changeling Princess. Her birth method was relatively uncommon, She born in Alicorn of magic's womb with Saddle Arabia Horse is her father. And she was given a special nutrient call "Royal Jelly" from Changeling Princess direct into Alicorn's womb. // It's just a character from RP.